POPPET VALVE ASSY., universal - F.H. Steinbart Co. 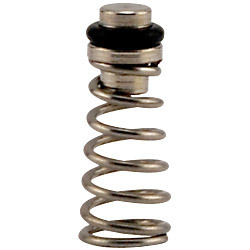 This universal poppet valve fits inside the connector stud of most soda kegs. Use on both gas or liquid studs, ball lock or pin lock kegs.